I made some cranberry relish for Thanksgiving. Yum!! Since my mom and I were the only 2 to eat some, I had plenty leftover to enjoy. 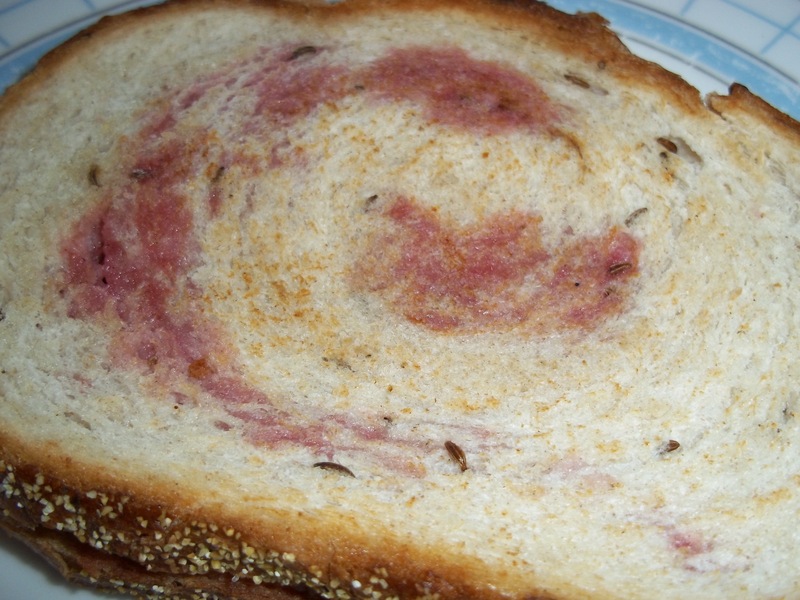 I decided to make a grilled cheese sandwich with the cranberry relish in the middle. It was delicious. Heat the griddle pan to medium heat. Spray the griddle pan with cooking spray. Place the first slice of bread on the griddle. Lay the first slice of cheese on the bread. Then the cranberry sauce. On top of the cranberry sauce, place the other slice of cheese. Finally top with the other slice of bread. Cook on one side for 3 to 4 minutes or until the bread is browned. Flip over the sandwich over and cook until the other side is browned (2 to 3 minutes). Yesterday’s challenge was to call someone and let them know how you are grateful for them in your lives. I called my aunt and talked to her 45 minutes. On Wednesday, I texted one of my former students and told him how I was grateful for being one of his teachers. He has an impact on my teaching. 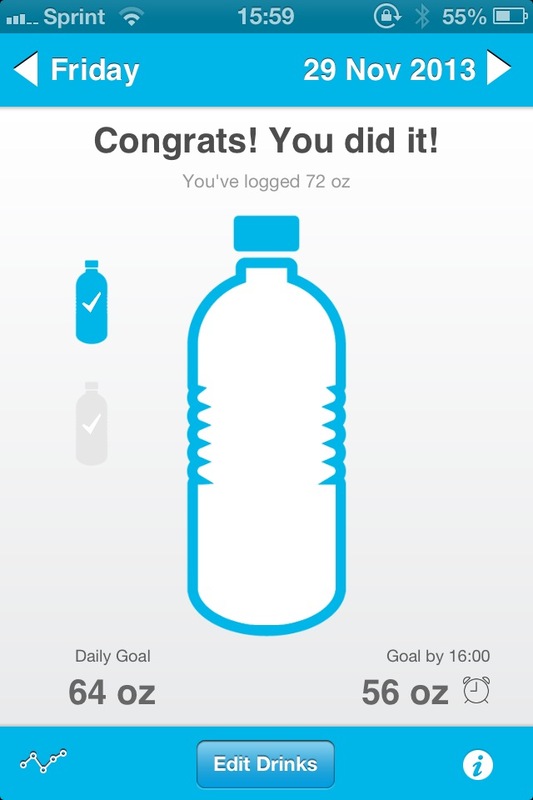 Today’s challenge is to drink plenty of water. I took one of my quart size Mason jars and drank out of it. I ended up filling it up 3 times total for 72 ounces of water. Guess where I spent most of the day?!? I may drink a cup of hot tea without any sweetener and then another glass before bed today. Tomorrow’s challenge is to treat myself. I’ve got to do some shopping and go to a baby shower. During my time out, I will make sure I treat myself with something. This month I was paired up with Anne from Pennsylvania. She and I had similar likes in foods so that was a help when buying her goodies. When I got her box, I was delighted. There were a lot of yummy treats in the box. One of the items I am extremely excited about is the Pennsylvania Dutch apple butter. If I just hadn’t opened up a jar of pumpkin butter, I would have opened that jar up right away. I was born in the Pennsylvania Dutch area so it is nice to have a treat from where I was born. All the goodies were from her area which was nice because I like to try local foods when I’m visiting other places. I’ve tried the smothered graham cracker. Delicious! I’ve tried the apple quinoa crunch. Had to get used to the lentils but it was good. I have to keep this away from the Imaginative One. He loves chocolate covered pretzels. I had the one on the right. It was delicious. A little snack container – I’m thinking this would be perfect for Disney. I could put some trail mix in it..
Granola – This is delicious. I’ve actually driven past the factory when I went to that area in 2001. Honey!!!! I was looking at local honey that morning. This is my little bear. Thanks Anne for a great box. 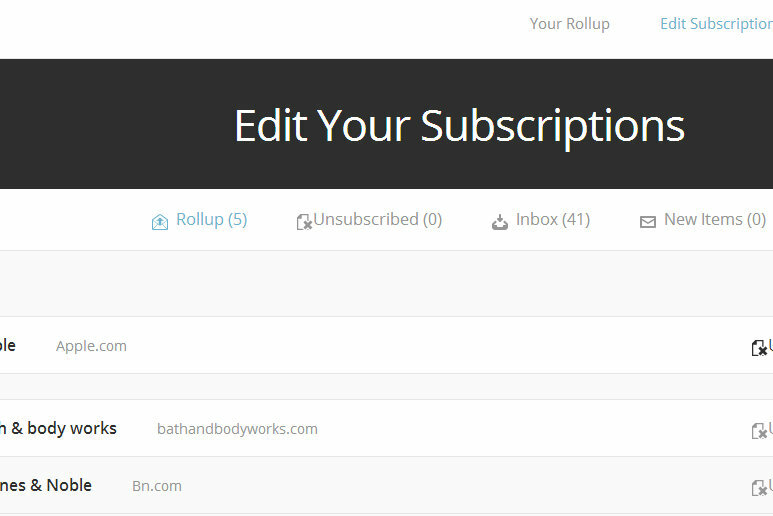 So as I said at the end of my post, yesterday’s challenge was to unsubscribe from catalogs or emails. I chose to unsubscribe to multiple email lists. I did it on my work email, gmail, and road runner email accounts. I also cleaned up my road runner and work accounts. This really helped me feel lighter not having all those emails to wade through. One great website to use is unroll.me. Unfortunately it only supports certain email services. I could only use it for my gmail account. It really helped me unsubscribe from that account. Today’s challenge is to try a new workout. I don’t exercise unless you count my walking around the school building. My classroom is isolated from everyone else so if I need anything I need to walk to get it. 🙂 That’s great for getting some cardio in. Last night I put some fast paced music on youtube (Florida Georgia Line – Cruise) and did sprints across the living room to get some cardio in. I continued for the entire song. Then I put on Pink’s Just Like a Pill and did some circuits of 10 reps of waist twists, toe touches, knee lifts, and jumping jacks. Towards the end of the song, I slowed my motions down to cool down. It wasn’t much but for me it was a small step. This morning, I did a barre3 standing core exercise. I plan to do a yoga video later on during the day. This is something new to me. I really need to get my belly area in check. I’m short waisted so all of my extra weight seems to land there. I’m finally getting to recapping yesterdays’s challenge and discussing today’s challenge. So yesterday was meatless Monday. It wasn’t really that hard for me. I started the morning with a green smoothie. There was also some protein powder in the smoothie to help keep me full. I needed chia seeds also because all I kept thinking while I was in the dentist’s chair was how hungry I was. Of course I couldn’t eat while they were working on my mouth. As soon as I left the dentist’s office, I ate a Larabar that I had gotten at the grocery store. It was a seasonal flavor – Snickerdoodle. It was pretty yummy! The day before I had gone out to eat at a new to us restaurant – Roma. I had gotten a Brucshetta pizza with the intention of saving some for this challenge. I also had some left over garlic bread which was made with olive oil instead of butter. Since my mouth was still numb, I didn’t bite on it using my front teeth. I folded it up and chewed with my molars. When my dentist called me later, I told him what I did and he told me I was pretty clever. I love that my dentist will personally call his patients after they have work done on their teeth to make sure they are doing good. He ends his call with “Call me if you need anything.” and he means it. Since my mouth was still numb, I ate a banana for a snack. I am not a banana lover so Hubby was shocked when he saw I was eating some. Dinner was quick and easy tomato soup. I also cut up French bread that I toasted up with a little olive oil, garlic, cheddar cheese, and basil. We used those croutons to put in the soup instead of dipping grilled cheese sandwiches in the soup. The boys were not fans of the soup. The Imaginative One though loved the croutons. Dessert was a pumpkin whoopie pie from a local farmer’s market. Yummy! As an evening snack, I had a yogurt parfait with granola and fresh pineapple. So happy my meatless Monday went well! Today’s challenge is to unsubscribe. I don’t know how many different emails I unsubscribed from. I also cleaned up two of my in boxes while I was at it. It’s amazing how much lighter you feel without all that extra mess in your life. I’m so excited about the challenges. Maybe not the burpee one but the others yes. Funny story about the burpee challenge. I was telling my family about this week’s challenge and my mother-in-law didn’t know what a burpee was. She thought it was Sheldon on “The Big Bang Theory” burping pi. So Hubby and I demonstrated what a burpee was. The response from both my father-in-law and mother-in-law was that I was going to hurt myself. Anyway today’s challenge is the Meatless Monday challenge. We are challenged to eat not meat today. So the question was “How do I feed my meat loving husband a meatless meal?” The answer is simple. We are having tomato soup for supper. He won’t complain about that and then when he gets to work, he can eat all the meat he wants away from me. Baked Spaghetti (Minus the meat or use a meat substitute instead) – Most popular post on my blog. Tomorrow I’ll let you know how it went. Today the Wee One found the piece in our cereal/ plastic ware cabinet so I decided to make the smoothie I had been craving. I had bought some fresh cranberries today so I decided to put them in the smoothie. Yum!!! Since I didn’t put any sugar in the smoothie, it turned out tart but that’s okay with me. If you make this, you may want to put some type of sweetener in it if you don’t like tart flavors. This smoothie is called tastes of Thanksgiving green smoothie because I love eating cranberry sauce on Thanksgiving and the flavors of this smoothie remind me of cranberry sauce. Add all the ingredients to your blender cup. 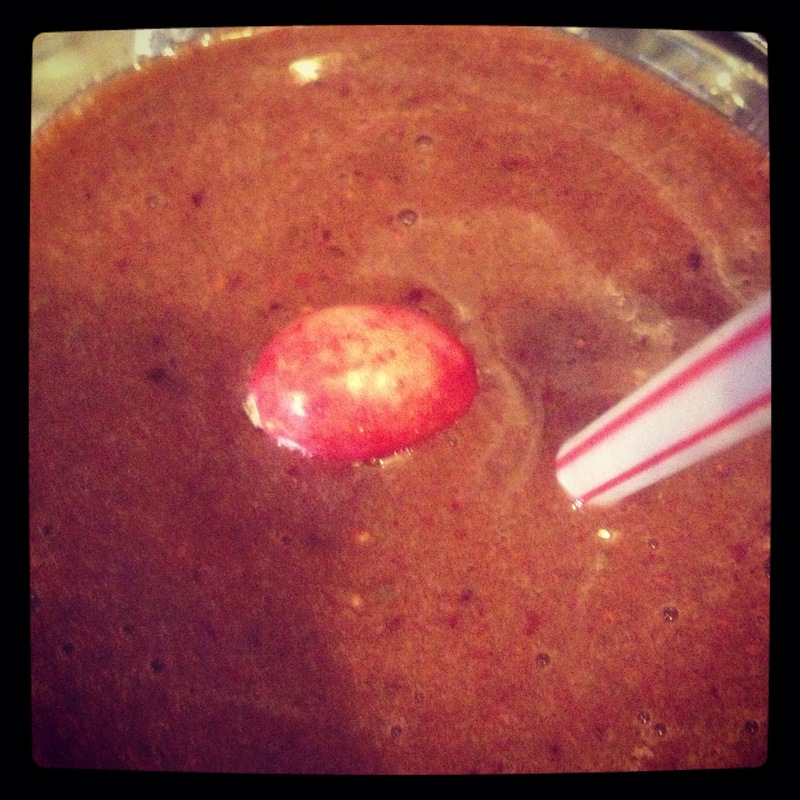 Blend together on the smoothie setting until blended together. Last year I joined a group called Elf for Health. I was paired up with 3 different Elves who I helped motivate and who helped motivate me. To be honest one of the elves fizzled out but Gretchen and Lyndi were great. We would email each other on a daily basis trying to keep motivated. When Gretchen’s and my third elves didn’t follow through, we were each other’s elves for the last 2 weeks. This year, they’ve shortened the challenge from 6 weeks to 4 weeks so we’ll finish the challenge right before Christmas which is good. People get so busy once Christmas rolls around that it’s hard to keep track of your elf. I’m a little nervous though because some of the challenges are physical in nature and I have to be extremely careful especially since August. My pinched nerve started acting up at the end of our Super trip because of how much strain I put on it with all of my walking between the beach and Folly and then visiting Atlanta and Huntsville. I was seriously out of alignment when we got back and could barely walk. Yuck! Then in late September/early October, I had another relapse where my leg would almost give out. This was happening at work and I have to walk to get from place to place. (My room is isolated from everyone else.) So I’ll participate with those but may have to modify how much I do. As you can see I don’t do a lot of exercise because of that darn pinched nerve. When I was 12 years old, I broke both bones in the bottom part of my left leg. I was in casts from February to June of my 7th grade year. Twenty years and five months later, the pinched nerve started acting up. I could barely walk at times which is not good for my job because I’m a special education teacher and would have to walk from classroom to classroom for inclusion or pick up students for intervention. There were times when I would be in a second grade classroom sitting on the floor barely able to get up. It now acts up at times with irregularity. I walked all around Chicago on a trip in 2012 and it did not act up. I go on my super trip this past July/August and it acted up. When I was in college 20 years ago, I would walk everywhere. Even though I ate a lot of fast food (worked at McDonalds and got free food), I was fit because of all of the walking. I miss being able to do that without the possibility of the pinched nerve getting in the way. Anyway I’m going to go into this challenge with gusto and modify some of the challenges to what I am capable of doing. If you are interested in this challenge, check out the Lean Green Bean for more information. You need to sign up for the first round by Friday , November 22. It’s been another week so it’s time to menu plan once again. This week is not as crazy as last week. I’ve still got dance lessons, Cub Scouts, chiropractor appointments, and parent teacher conferences. Even with those events, it’s not as busy. 1. Sometimes you need to drive off the beaten path. He would drive through the neighborhoods instead of the main streets. I drive that way too. I know so many different ways to get to work that I could confuse someone. 2. Sometimes it’s better to listen then talk. I knew I was in real trouble when my grandpa started lecturing me about my behavior. When he spoke, you listened because whatever he was going to say was important. 3. Chocolate and sweets make the world go round. He loved pumpkin pie (Imaginative One’s favorite) and chocolate. They would sit next to his recliner on his end table. Okay not the pumpkin pie but the chocolate did. Don’t ask me how I know. 4. Nature is beautiful. He and grandma would sit and watch the hummingbirds outside their family room. 5. Family is important. When my mom, sister, and I moved in with him and grandma, he was ready to retire. He continued working for about 7 years so he could support us. He made the bunk bed my sister and I shared for 2 years. 6. Keep your gas tank half full especially in winter. You don’t want the gas to freeze. 7. The importance of vocabulary. He would read Reader’s Digest and have me look at the Word Power with him. I still read the Reader’s Digest and look at the Word Power. Those word power puzzles stump me at times. 8. Coffee is yummy! I didn’t start drinking coffee until after he was gone. Now I love it. Now I wish I could sit down with him and drink a cup of coffee with him. 9. Education is important. He wanted me to graduate from college. I was the first one in my family to earn a bachelor’s degree. 10. Trust in God! He was a tail gunner during World War II and saw unimaginable destruction. His faith needed to be there in order to survive. Thank you Grandpa for teaching all these lessons!